A proven record of robustness and reliability make it ideal for heavy commercial or professional use. 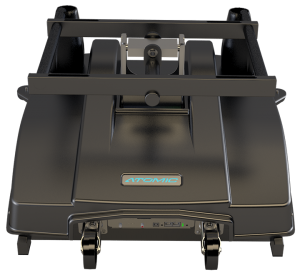 The system weight of less than 50kg and ability to collapse the unit in minutes makes it easily transportable in a car boot. 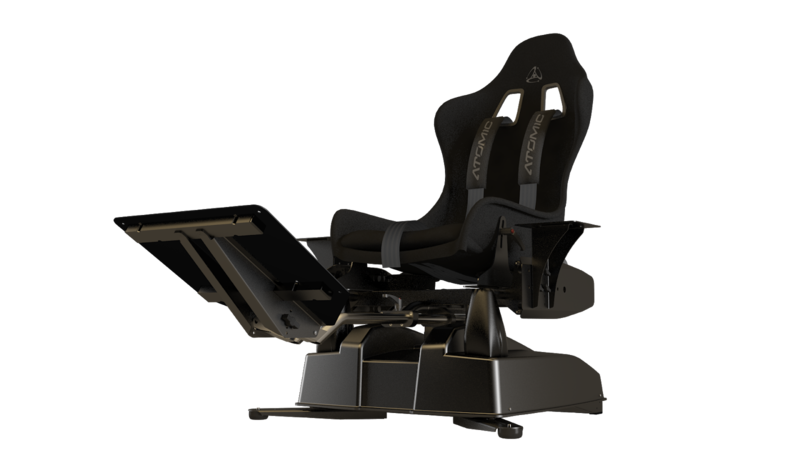 The Atomic A3 proves that you don’t need a large, unmovable simulator to deliver a truly realistic, high performance ride, and one that performs year after year, even in punishing commercial environments. This is down to its unique design, high quality precision manufacturing and patented technology. Read the Technical Specification to find out more. The Atomic A3 is flexible in its configuration. 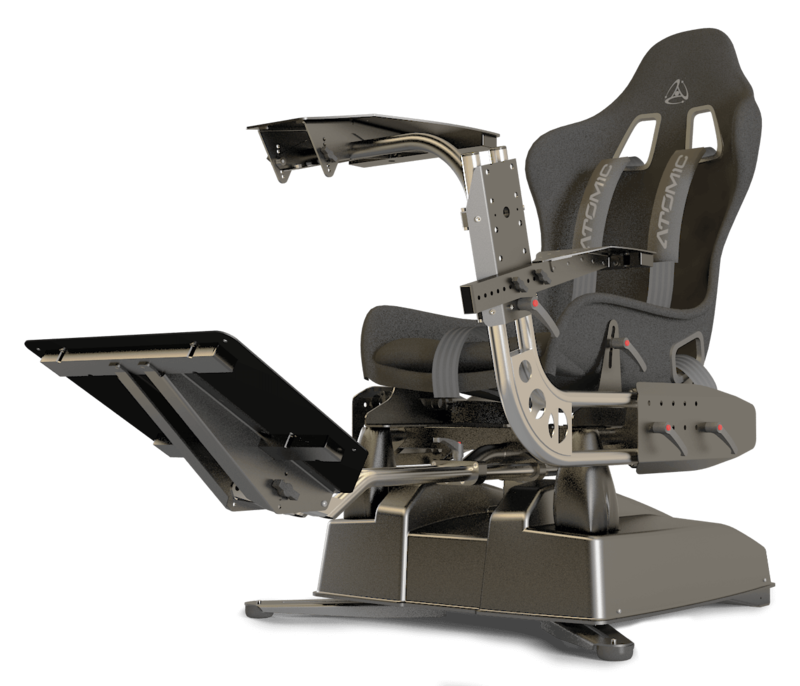 The base unit forms the core of all the systems and can itself be customised with non-seat configurations (e.g. raft or wing suit). 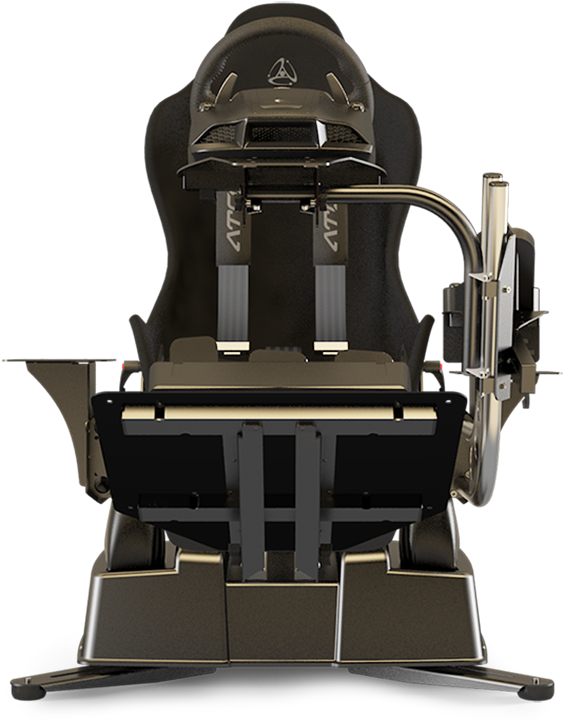 Our seat-based systems allow for easy insertion and removal of various mounts, meaning that you can swap between a driving, flying or other configuration. If you decide on one system, you can change it later by changing the mounts. 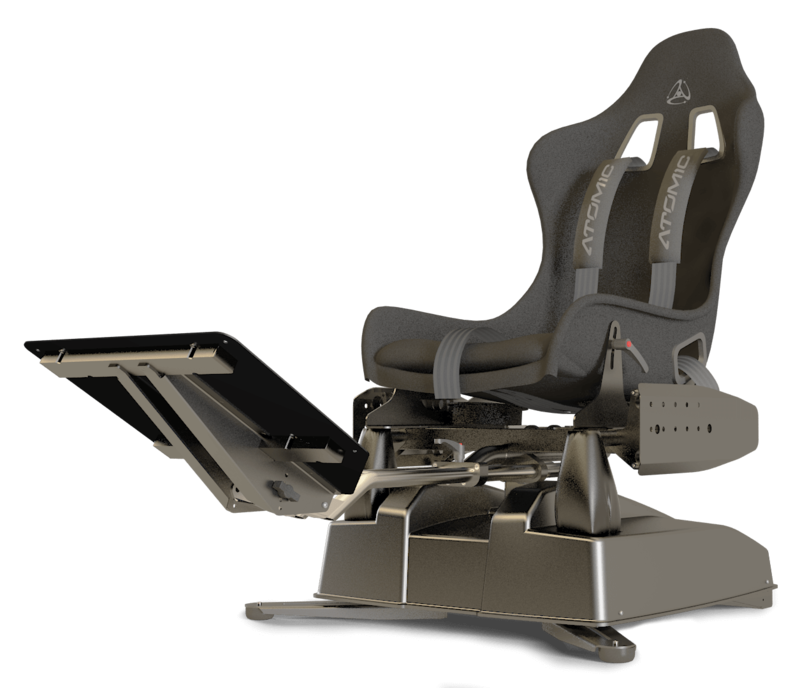 Our Passenger System consists of a foot rest and seat added to the base unit. This setup has two main uses. In thrill rides, the passenger just sits back and enjoys the motion of the roller coaster or other event. As a passenger system, units can be networked together, allowing drivers and passengers/co-drivers to experience the same motion.